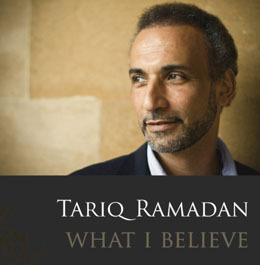 KUALA LUMPUR, June 29: Prominent European academic Tariq Ramadan (pic) will be in Kuala Lumpur on July 12 and 13 and will be delivering two speeches on the topics of liberty and Muslim-West relations. On July 12 at 8.00pm, he will give a lecture entitled “Is Liberty an Islamic Value?” at the Jalan Duta campus of International Institute of Islamic Thought and Civilization (ISTAC), while another talk on “Islam and the West: Conversations with History”, will be delivered at the International Islamic University in Gombak the next day at 9.00 am. Organisers Islamic Renaissance Front (IRF), an NGO based in Kuala Lumpur which promotes intellectual discourse among Muslim youths, said both talks were aimed at exposing the Malaysian audience to the debates prevalent in the West with regards to Islam and Muslims. IRF director Dr Ahmad Farouk Musa said there had been many misconceptions among certain Muslim groups, both locally and internationally, that human rights, democratic principles, equality before the law and religious freedom were incompatible with Islam. “On the other spectrum, there is a great intellectual movement within the Muslim world that considers liberty as one of the higher objectives of the divine law (maqasid al-shari’ah), reverberating through societies, providing the moral basis upon which the institutions of democracy and civil society to be established,” he said. Dr Farouk said Tariq’s lecture would seek to clarify the debate by examining the compatibility of the religion of Islam with classical liberal values of individual liberty and religious freedom. His other lecture on Islam and the West would focus on the very long history and traditions between the two civilisations. “The affirmation and realization of universal human principles is a challenge that goes beyond Muslim-West relations. “And this includes the freedom of conscience, freedom to speak out against tyranny, and a call for reform and renewal,” added Dr Farouk. Tariq, who last visited Malaysia in December 2009, is professor of Islamic Studies at Oxford University, and president of the Brussels-based European Muslim Network. The son of the late Said Ramadan, Egypt’s most famous dissident, and the grandson of Hassan al-Banna who founded the Muslim Brotherhood in Egypt, Tariq himself is no stranger to controversies. Due to his criticisms of undemocratic regimes, he is a persona non grata in Tunisia, Egypt, Saudi Arabia, Libya and Syria, and until recently he had been barred from entering the United States. The Swiss national made headlines last August when the Netherlands’ City of Rotterdam and Erasmus University dismissed him for chairing an Iranian television programme, an action Tariq described as Islamophobic and politically charged. Those interested to get more details of his lectures in Kuala Lumpur may contact Ms. Raihan Aizaini, at 019-2315818.